Rosie Ewing is an agent with the British SOE. In her first recorded adventure (well, first published) she is about to embark on her second offical mission, this one taking her into France to be a "pianist", cover term for a radio operator working with the Resistance and other embedded operatives. She is in her mid-20s and was already a widow, having lost her husband Johnny. She has mixed feelings about the late fellow operative considering that she had loved him enough to marry him and mourn him but still bitter about the fact that she had learned he was not as true to her as she was to him. But it is wartime and Ewing definitely feels she must do her part even if that means heading into enemy territory to do a job for which many others lasted less than two months. 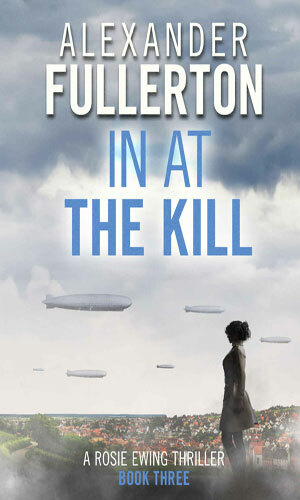 Given the cyanide pill that all her colleagues were provided, she has to ponder if she would have the courage to take it when the time came or if she might take it too soon. As the series progresses, her assignments will get more dangerous as she proves herself capable of more than first thought. She will pay dearly for her convictions and her successes, though. But the idea of stopping and just staying at home to be save never really occurs to her. The Rosie Ewing saga consists of 4 books, a prequel written after all 4, and a book taking place in the Ewing "universe". It is summer in 1943. 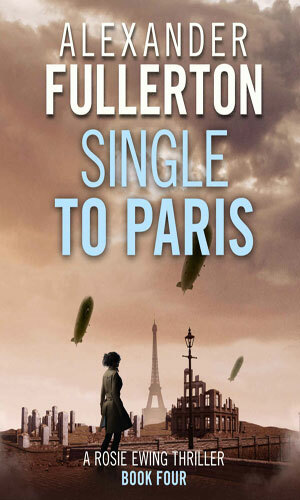 Rosie Ewing has volunteered to go undercover in Rouen, France, to set up a new underground network after the previous one was blown, likely because of a traitor. But just getting there is going to be a challenge. 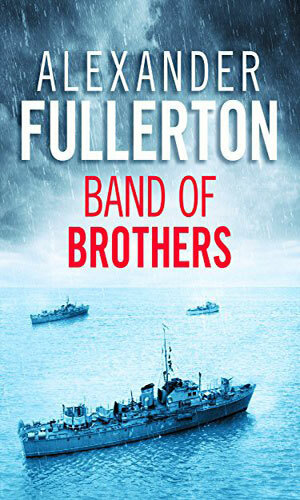 A companion piece to the Rosie Ewing series, this tells of Navigator Ben Quarry is aboard a torpedo boat searching for a German supply ship while worried about his girl friend, Rosie, who is on another assignment as an SOE agent. 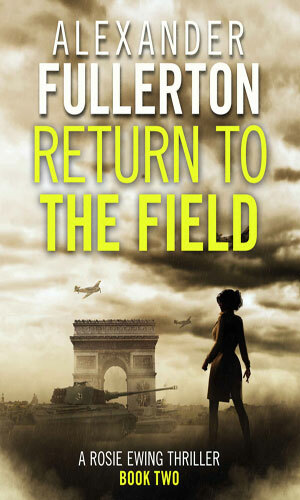 It is Spring of 1944 and once again Rosie Ewing is heading back to Germany, flying this time, carrying a radio and a half a million francs to meet with a man who is likely a traitor. The SOE knew Rosie Ewing was dead, killed by the Gestapo while trying to escape being sent to a concentration camp. 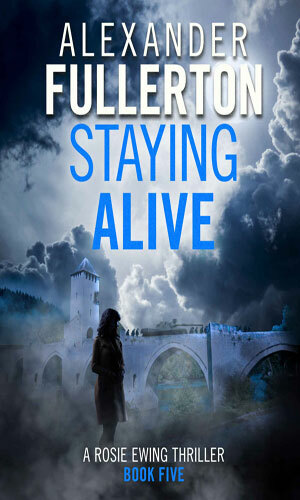 Instead, she is hanging onto life in a farmhouse in Alsace and planning her revenge on the man who betrayed her. The SOE finally knows Rosie Ewing is still alive and they are bringing her home when word comes of 2 SOE agents recently arrested by the Gestapo in Paris and Rosie is asked to head there to help free them. 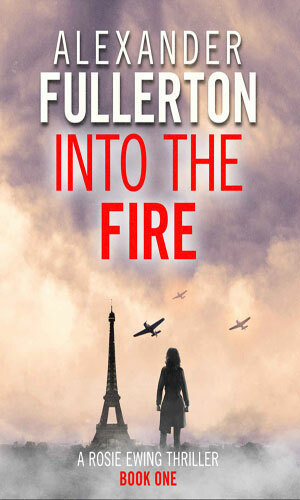 A prequel taking the saga of Rosie Ewing back to 1942 and how she became involved with the high dangerous world of the SOE in the fight against Nazi Germany. These are very well-written adventures told by a truly talented author with plotting and pacing that make them a joy to read. Having just said that, though, I have to point out the fact that I often have trouble with a female character being written by a man because I sometimes feel far more of a masculine attitude and outlook come through that does not ring true. That is what happens in this series for me anyways. I like Rosie Ewing and I love the writing but not the books overall. I wanted to. I just couldn't.